Back in April after Wonderwool Wales, a big fibre event in the UK, there was a thread on Ravelry where people displayed their purchases. 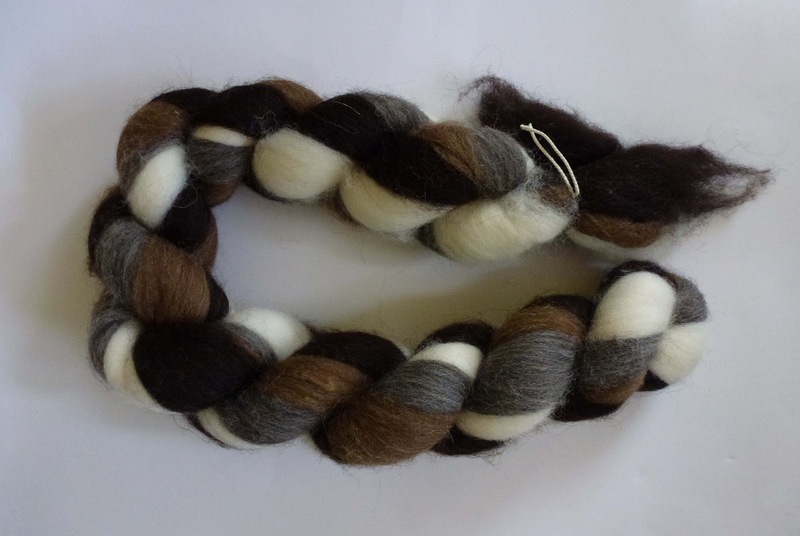 I saw one of these lovely plaits. I hadn't seen the plaits at the show, I was too busy on my own stand. The combination of colours really grabbed me. I found out the plait came from Adelaide Walker. I was delighted to find the Adelaide Walker stand at Fibre East, so of course a plait found its way into my bag (after I paid for it)! 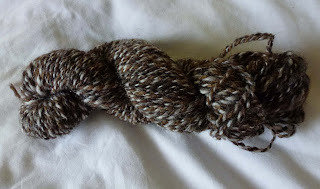 It isn't really a plait, it's four lengths of top twisted together -dark brown, light brown, grey and white Shetland wool. 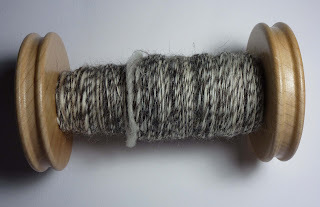 Then I plied the two marled singles together. 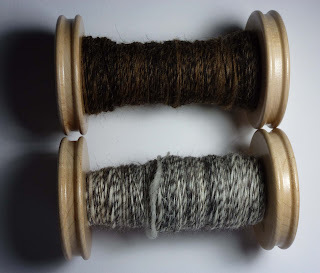 The contrasts are less subtle than when the fibre was in the plait. I think maybe if I increased the amount of white there would be more contrast. 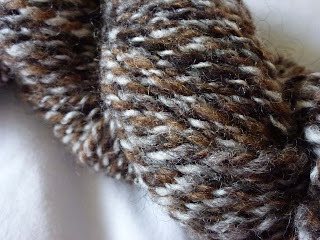 Even so, I'm pleased with the effect. 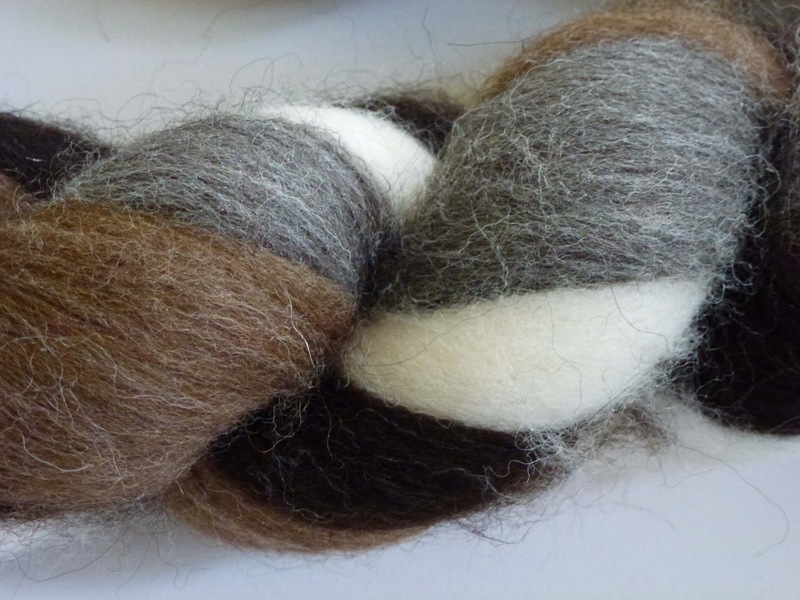 Do join us for Woolly Wednesday and let us know what you have been spinning. 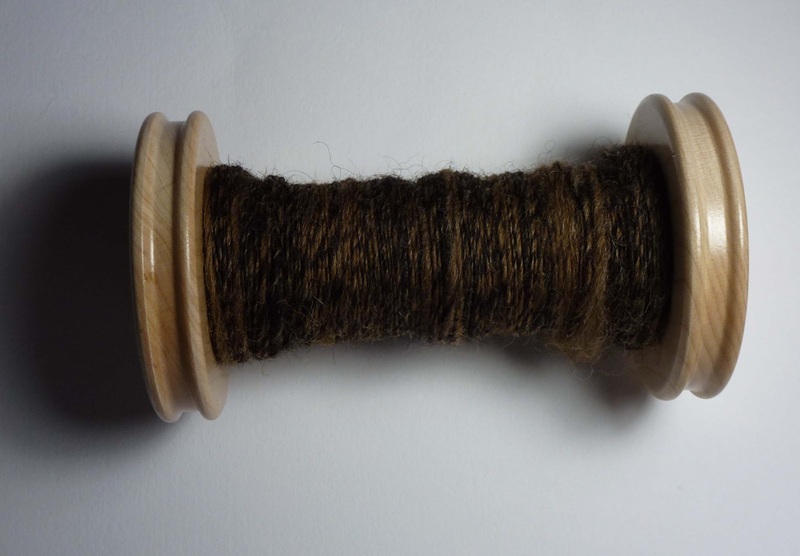 If you add your blog I will come and visit, I'm looking forward to hearing about your fibre adventures!